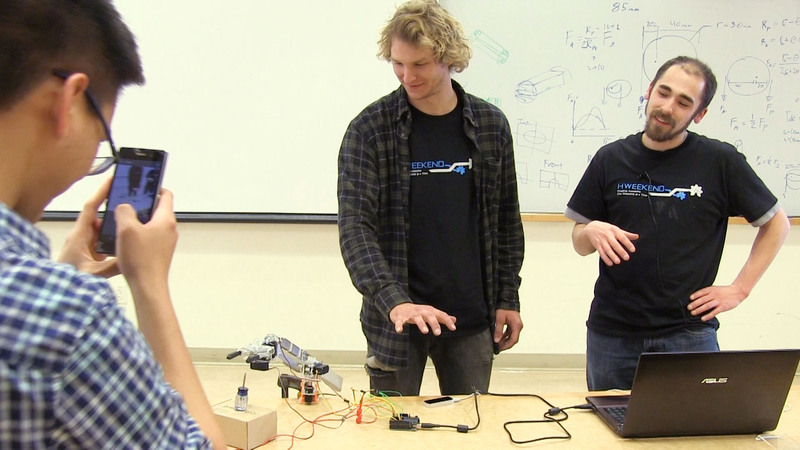 Ryan Green and Keaton Scheible demonstrate the remote controlled arm they built during OSU’s HWeekend, while their teammate, Rattanai Sawaspanich takes a video. In just 30 hours, Oregon State University students created wearable technology projects at HWeekend on April 10-12, sponsored by the School of Electrical Engineering and Computer Science. Thirty-five students spanning several areas of engineering formed seven teams and built projects that ranged from a remote controlled arm to a video game. The event was organized by Don Heer, instructor in the School of Electrical Engineering and Computer Science, who wanted to provide students an event similar to a start-up weekend or app hackathon, but for hardware. It was the fourth event for Heer who values real-world experiences that augment the student’s classroom experiences. To build their projects the students had a variety of components available to them including tiny computers, NVIDIA Jetsons, motion sensors and motors, and as access to 3D printers. “It’s surprising how much this relates to my classwork, but also how much fun I had with it,” said Mark Andrews, student of electrical and computer engineering and math. It was the second HWeekend for Andrews. About half of the students at the spring HWeekend had participated in one of the previous three HWeekend events that were sponsored by Eaton, Rockwell Collins and Micron. Two projects: The Hand of Glory by Mark Andrews, Paul Lantow, and Conner Yates; and Go Go Gadget Claw by Tyler Gilbert, Ryan Green, Rattanai Sawaspanich, and Keaton Scheible are featured in videos below. The Go Go Gadget team won the Most Innovative award and tied for the Most Helpful award with the Mechanical Calf Assisting Device team. 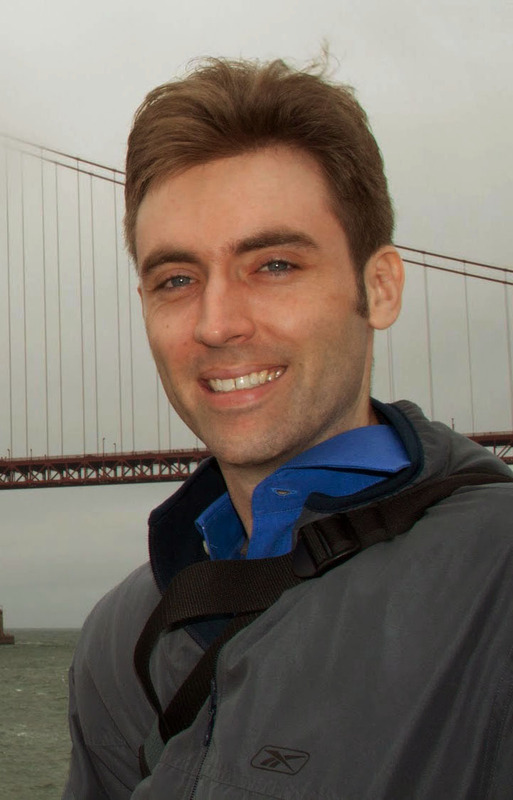 Graduate student David Piorkowski received an IBM Ph.D. Fellowship Award in March 2015. The fellowship is an intensely competitive worldwide program, which honors exceptional Ph.D. students who have an interest in solving problems that are important to IBM and fundamental to innovation in many academic disciplines and areas of study. Piorkowski’s research is in the area of software engineering, and aims to create better tools to help software developers debug code. Margaret Burnett, professor of computer science, and Piorkowski’s Ph.D. advisor said, “David is a rising star. His research stands to fundamentally impact software engineering, and this award recognizes its importance. The computer science research community’s recognition of its importance also shows in David’s academic successes along the way. “Information foraging theory (IFT) has explained and predicted how people seek information, but IFT does not explicitly account for how people forage when simultaneously “fixing” information in the environment. This gap may limit IFT’s applicability to programming.